Navigate to the Invites module. 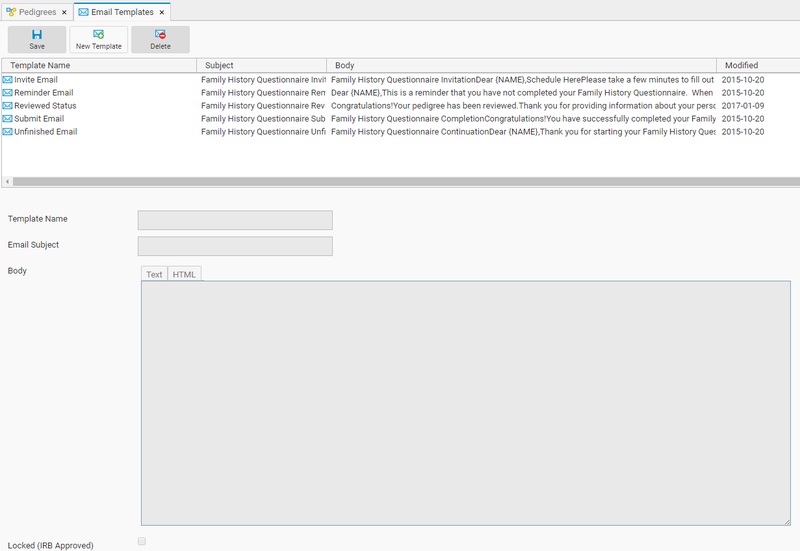 In the email template management window, you can create or modify email templates. 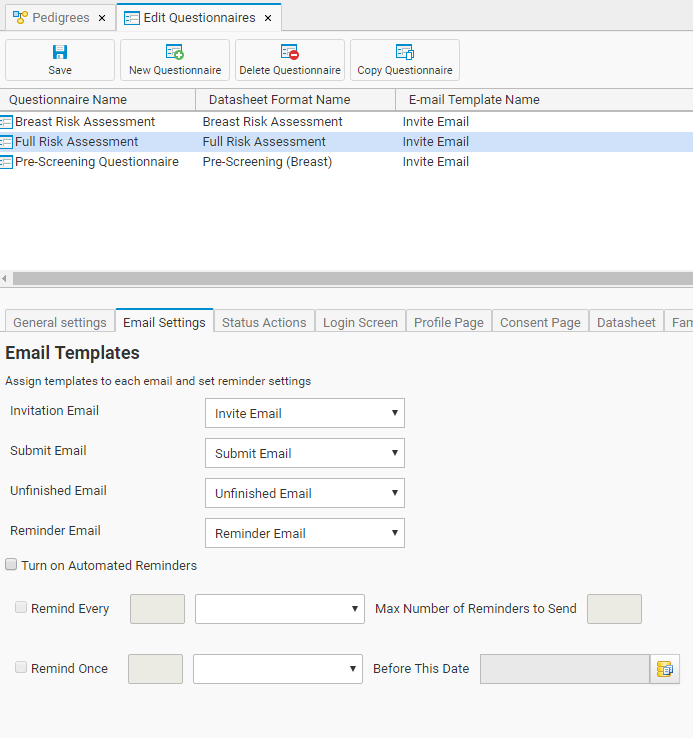 Once the email template(s) you want to use is created (or if they are already created) you can specify which template to use for the questionnaire (see step 5). Navigate back to the Invites module and select Edit Questionnaires. Select the questionnaire you would like to edit. Click Save to save all changes made to the questionnaire.